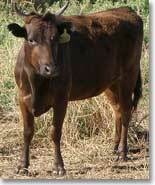 We are wishing to retire and have our Wagyu Herd FOR SALE. Jones' Black Gold Farms is a family stud located just outside Ayr, North Queensland, Australia. They run a stud of full blood Wagyu from top genetics as well as a Purebred Wagyu herd. The Wagyu breed was introduced in 2000 and includes offspring from Wagyu embryos transplanting and genetics along with natural mating by full blood Wagyu bulls both black and red. Since early 2003 they have decided to concentrate on just the Black Wagyu. Why their interest in Wagyu Beef? ... it is consistently healthier, tastier and more tender than other meat! Browse through the site to find out more about Wagyu and what there is to offer. .. Black Gold Farms - Specialising in Wagyu Cattle ..